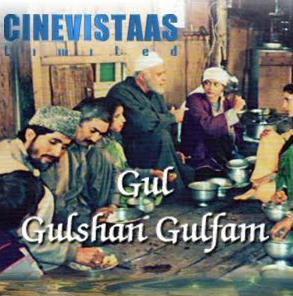 Moving ahead in reviewing the critically acclaimed TV Serial Gul Gulshan Gulfam which was very popular during it’s original run time and now available as a set of DVD for Home Entertainment; here we take a glance at the content of Episode #11 of the same. Sometimes when you think that yes, now the things are started falling in place, or the life is moving in the direction you wished for; you got to face some unexpected twists! Well, this is the reality of the life. Same happens in the life of Haji Khalik and his family as well. Haji was hardly able to get out of the consequences created by Kadir and taking the breather of rest, there comes the other news. The news is good of course. The Nisar (aka Nisaar), the son of NoorMohammed (the eldest son of Haji Khalik) have successfully completed his study and become a doctor now! So the happy news right?! He is coming back to home after so many years. And yes, it was Haji’s dream to make his clever grandchild a doctor, which is fulfilled now. But, now as he became a doctor, he need to open a clinic and have to live at some other good place! How can he stay with Haji and his family! Haji thought to get him a good place and as Nisar is bachelor so far, there need someone to cook for him and take care of him. So it is necessary for their parents to go with him! It was a very practical decision Haji and his wife took by putting stone on their heart. Haji and his wife were talking to each other about this stuff, it is hard to decide whether they were trying to persuade each other or themselves! The scene is not only emotional but also very real. And, this happens these days to almost all the cities and even town and villages as well. Well, it is hard to blame anyone for the stuff, it is the call of nature. The type of work the current generation need to do is quite different that what it was being done a few generation ago. People have to move away from the family to do work and earn some good fortune for their family. Contrary to that these days the advancements in information technology industry made the world very small and it is possible to do a lot of kind of work from one’s convenient place (through Internet for example). It gives people a chance to take the liberty to give more time to family. And yes, provide quality work as well. Still, we see that families are breaking down due to this run for the material stuff and happiness. Probably no one want to sacrifice personal gain (or chance for the same) for the family. People became more desperate, self-centered then they were, for sure. The real situation is explored pretty well in the scene. All the actors involved in the scene play their part with utmost sincerity. It is tough to see who act better in this scene Parikshit Sahni or Radha Seth. Both are really over the top. The dialog writer deserves the credit for his writing which creates good impact. The scene is not overacted or melodramatic, which it could have been. And it serves as the positive attribute, it is more effective this way. In real life the elders sacrifice in the way that only a person with sentiments can notice it, they do not do self-promotion! We see a significant improvement in the acting of the person playing NoorMohammed for sure. It is followed by the scene where his awaiting guest arrived. See the body language of Mr. Sahni as Haji Khalik, his use of English and mannerisms he show; its simply superb. The actor who played visitor is not a very good actor though, and his voice is dubbed by another good actor. But the content explored in his communication with his wife and child is good to go for. We got to know some traditional stuff about the people of Kashmir through the scenes where Haji arranged a ceremony to say thanks to the God and get-together for his friends and family members. We also got to know some traditional words as well. And yes, do not miss the scene where you can see all the family members taking their food together. So we can say the episode is well balanced in terms of content. On one end it introduces all of us to the rael Kashmir and lifestyle of people of Kashmir; and on the other hand the family related stuff takes us to emotional journey as well as the current reality. If we can sideline viewing some poor acting; most of the stuff is positive in the episode; be it the background music or sets. The DVD quality is quite good as well. Our personal verdict is: you should not miss it.